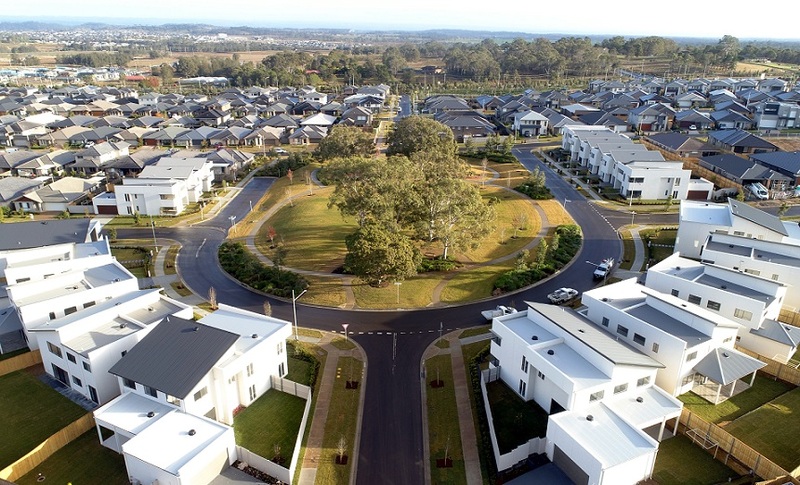 Global property developer Sekisui House has engaged a team of international and local consulting firms to conduct a detailed research probe into creating a highly advanced net zero energy homes community modelled in Australia. And it’s all taking place in the heart of Macarthur. Later this year, Sekisui House will open its first net zero home in The Hermitage at Gledswood Hills, a master planned estate that already incorporates some of the early findings from the research probe. The research home is called Shinka House – shinka being the Japanese term for evolution. The aim is for Shinka House to achieve a thermal comfort rating more than eight stars, which is two more than the national Australian standard for new homes. Energy focus: The Hermitage in Gledswood Hills master planned community where the research probe is being undertaken. “An investigation into renewable energy production and storage will be at the core of this research probe including embedded electrical network, home to home energy sharing, geothermal augmented air conditioning, insulation and glazing advancements, lithium batteries, solar and building integrated photovoltaics,” says Craig D’Costa, general manager at Sekisui House. He says Shinka House borrows the same blueprint of the company’s Shawood range of homes. More than 250 have already been built at The Hermitage. A key contributor of Sekisui House’s research project is Robert Saunders, national manager at Calibre Building Services and Renewables. “Australia’s Renewable Energy Target is a federal government policy designed to ensure that at least 33,000 gigawatt-hours (GWh) of Australia’s electricity comes from renewable sources by 2020,’’ says Mr Saunders.